Attention: This is a FAN MADE story by Trusty Biker. 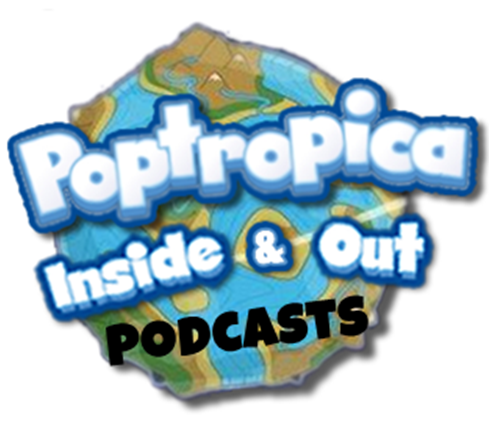 You can send in your stories for the SNS as well by sending them to poptropicainsideandout@gmail.com! My name is Myron Van Buren. 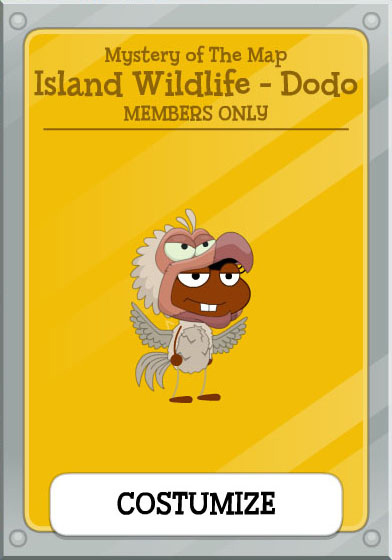 You know me now as one of the villains in the Poptropica world. But I wasn’t always like that. A little over fifty years ago, I was a newborn babe. I can remember the softness of my orange blankie: the painted guns on it that my father had insisted on getting. My father was a little bit of a wack-a-doo. 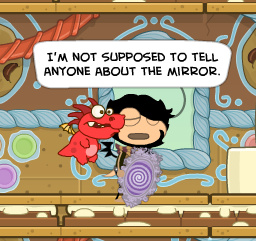 I know, I kind of am too. But my father was one of the greatest hunters of all time. He was able to shoot a crocodile from over 70 feet away. My mother would say my father was part dog. He was able to hear a squirrel climbing up a tree even if the tree was on the other side of town. My mother, on the other hand, was tame. Like a “normal mom.” I think, that if she hadn’t been there while I was growing up, I would’ve completely lost it. Once I turned the age of five, the wack-a-doo I had for a dad gave me a pistol as a present. The day after I turned five, my father took me out into the woods. I couldn’t see or hear anything, but my father could. He positioned the small gun in my hands and aimed at nothing. He told me to pull back on the lever. I was nervous, as I didn’t want to lose a bullet, but I did what I was told. The bullet sprang out. My father jumped up and started chasing it. I ran after him. After a couple of yards (the bullet was STILL going! ), the bullet hit a deer. My father grinned proudly as he picked up the deer and carried him back home. That’s another thing about my father: he only talks in three word sentences. Never more than three words, never less. While a lot of my actions came from my father, I never behaved in his three-word speech. 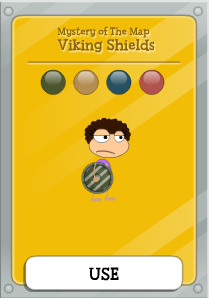 I was about 11 at the time, and I could shoot better than anyone in Poptropica (except my dad, of course). In fact, when I was eight, I had a contest with some weirdo dude dressed in a bunny suit. My father took me to a different woods that time. The woods were eerie. No light showed as we walked deeper in. The trees bent and swayed, leaning over as if their leaves would grab me. The only noise we could hear was the leaves and sticks crunching under our feet as we walked. I even saw looks on uneasiness on my father’s face, which was rare for him. As we were walking, I saw glimpses of red fur around the trees. I saw elves hanging from branches, at times, and I saw Dryads flitting here and there, the only source of light. Once or twice, I even saw red footprints of a Norkan, or whatever they’re called. All of a sudden, the Dryads stopped giving their light. The woods were completely dark. What happened next is hard to say. There was a lot of screaming. Red blurred my vision. My dad yelled, “RUN! !” A grunt, a groan. Telling Mother. Getting the doctor. When I finally found out what happened, I was shocked. Apparently, some kind of lion came. Ate my dad’s legs. My dad was never able to hunt again. From that day forward, I vowed I would keep hunting. Hunting for my dad. Up until you came, I’ve been trying to find that lion. 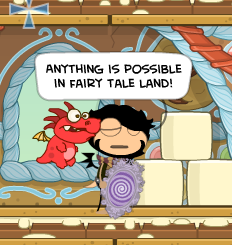 I’ve been to libraries, older Poptropican’s houses. 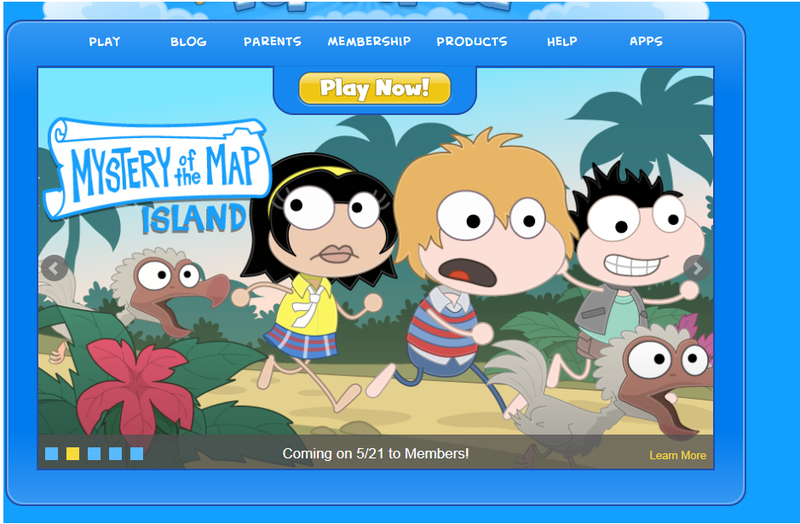 I’ve visited HUNDREDS of Poptropica Blogs, hoping to find that lion. But now I’m here, stuck in this cage. Thanks a lot. If I ever get out, I WILL NEVER stop hunting for that lion. Tell me if you spot him. Categories: Sunday Night Special | Permalink. Hello, it’s me, Cool Octopus, and I came here with amazing news. First, open your Poptropica account, boys and girls, and you will receive Whatever After Prizes. 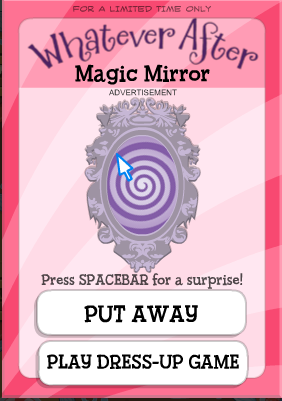 You will also receive a mirror with some cool special effects! 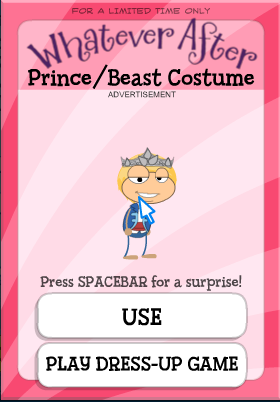 Go- head over to Poptropica to get the amazing prizes! 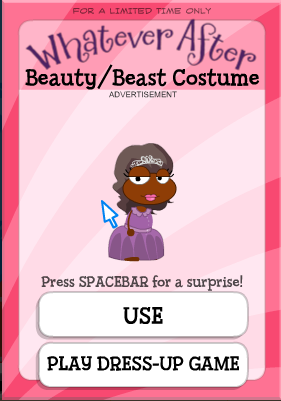 Categories: Ads | Tags: amazing news, boys and girls | Permalink.